A Different Path Gallery is pleased to host the stunning artwork of Brenda Cretney! 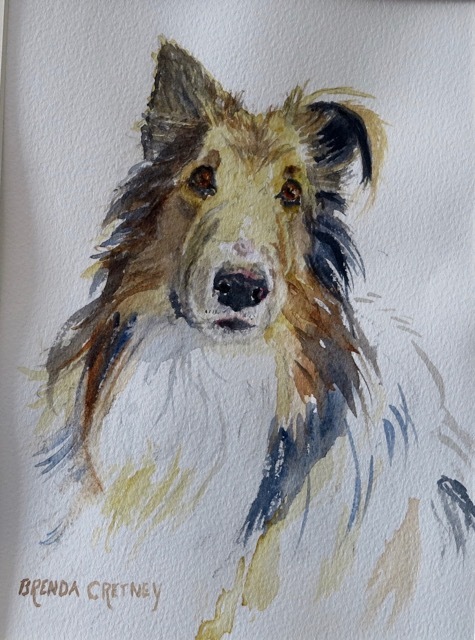 Brenda’s vibrant watercolor paintings of animals and people have been described as kind, caring and many times amusing. All are painted with respect for the subject and enjoyment of the viewer. She is a signature member of four art clubs and has won many awards and best of shows. The Opening reception for this exhibit will be held on Friday, June 8th from 7 pm – 9 pm and the artwork will remain on display until June 29, 2018.